As we conclude our fifth full edition of the Parsons Journal for Information Mapping we again extend our deepest thanks to over one hundred writers, designers, scientists, theorists, researchers, and artists who have contributed to the Journal. We've greatly benefited from your contributions to the ever-growing dialog respecting the procedures and perceptions of what makes information design information design. Next, we thank our readers and subscribers and those who have shared articles and ideas found within our issues. For this issue we present the concluding article on the "concept of signal" where the discussion continues on the idea of signal as it relates to perception and cognition. Analysis, particularly along heuristic lines, serves a critical role in improving interface tools; we are therefore pleased to publish a specific case study: the information delivery models of online hotel review sites and findings on how to both improve the visual and cognitive aspects of these models. PJIM has always had an interest in disseminating the "how" of design process, for this issue we look at theories of various modalities of interaction in interactive information graphics. Last, we present a paper that takes a unique view at the uses of visual representation in creating and archiving socially and politically relevant art. Also, we are excited to bring on a brave new member to the PJIM team: introducing Ashawnta Jackson who serves as our first-tier editor and will responsible for our outreach and mailing list logistics. We are already looking forward to the release of the first issue in our sixth volume coming up in 2014 which will deal with big data and visualization, as well as experimental threads that are now running through this exciting field of informative communications—we at PJIM are very happy to have Ashawnta aboard! ABSTRACT Since the end of the Cold War art and technology awareness theory has emerged in response to concurrently developing forms of new media. This theory responds to digitization as it arises out of analogue systems and the parallel waning of industrial modes of production. Art and technology awareness theory also considers the dominion of public social space in regard to robust forms of electronic surveillance, as well as the technical impact on both landscape and human body. The body can be seen as a central apparatus for knowledge as Maurice Merleau-Ponty makes explicit in The Phenomenology of Perception, “...the body expresses total existence, not because it is an external accompaniment to that existence, but because existence realizes itself in the body.” Artists are contributing to the understanding of the relation with the totality of the body against external territories as captured cartographic ally; they are resolving this dichotomy through expressions and renderings within the context of contemporary art. In this manner knowledge so derived becomes art. In essence, the ordering of territories can actually have direct implications on our societies and ways of living as well as ordering the societal structures ethically. developer of the research project, Spatial Aesthetics, regarding the city and the future technology. The contribution of contemporary art within society has advanced through development of visual imagery under the purview of professional tools. Devices for image science can now be applied to visualizing societal representations. Technologies can order society according to knowledge, expressed through artistic interpretation, embodied in those technologies. There are sufficient excellent examples of scientists and artists, such as Buckminster Fuller and Roy Ascott,2 developing devices for territorial knowledge and researching the common social understandings under a single, selfcomparative, world map. 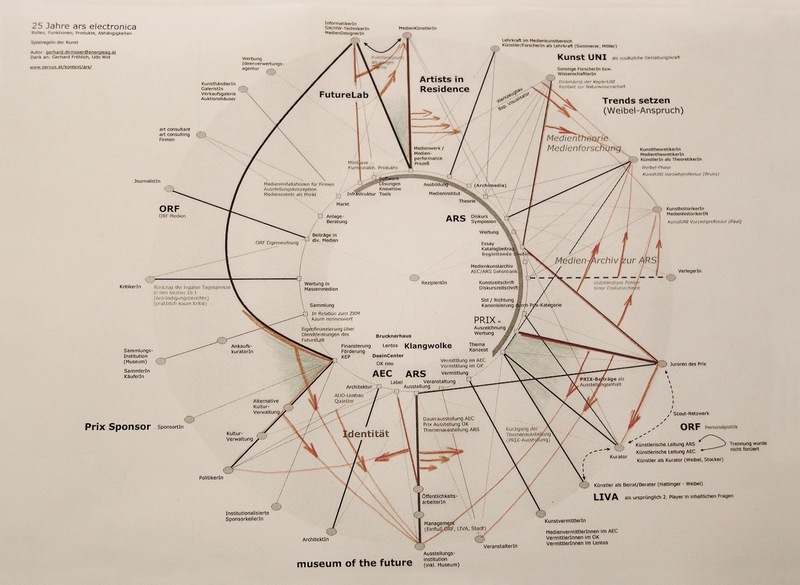 Artist Ursula Biemann also maps matters on geopolitics, mineral resources, and material wars. In her work, she depicts the artist as a change-agent who can help solve problems for society using archives, libraries, and databases. manner, Buckminster Fuller tried to resolve models of representation through his Dymaxion maps. Cartography is commonly recognized because they are often pure, informative renderings that capture (as well) something of humanity. However, they be greatly expanded in communicative expression through interpretive modeling methods. Such interpretive models might be created by psychogeographers or conceptual artist. absurd existentialism remains unpredictable and, again, inconclusive. This aesthetic is exploited by Lisa Jevbratt, who conceptualizes territories in databases with the practice of glitch art, or to artist John Klima, with his project, Earth, 2001. Klima developed an interactive art data visualization of geo-territorialized spaces within the virtual media. the description of Metadata. However, he does not consider himself as an artist, but as a computer engineer. as a central role in art representation. 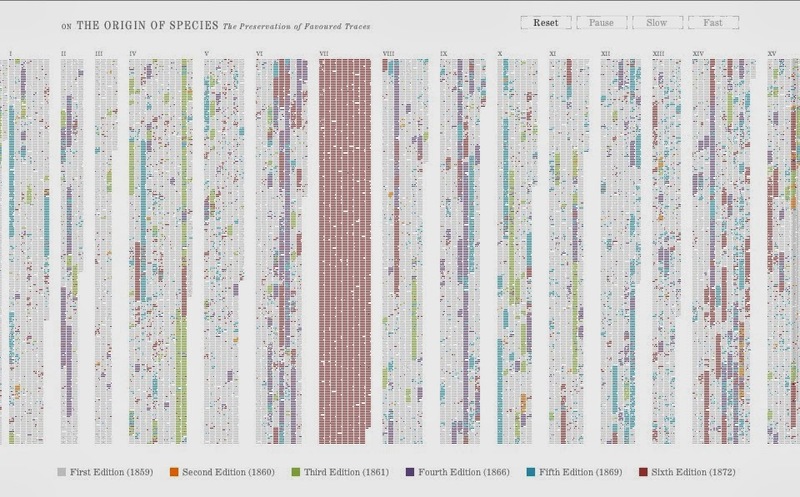 are also used to visualize information in archives (online or physically). The most common database areas are History, Meteorology, Sociology, Population, Politics and Economics. Others are based in the more artistic specific projects of net.art or gender/feminist politics. The policies of archives in museums, such as the one in use by John Ippolito at the Guggenheim Museum, imply not a more objectified creation of art, but of an online practice. The main field in art databases is about the question of preservation. 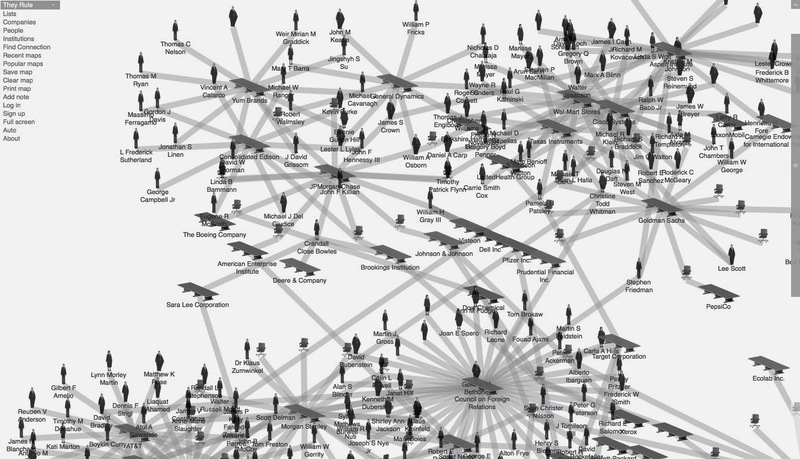 Collectives such as CRUMB (Beryl Gaham, Sara Cook) and curators such as Christine Paul are dealing with taxonomies or mapping for the classification of the history of art and media art history. 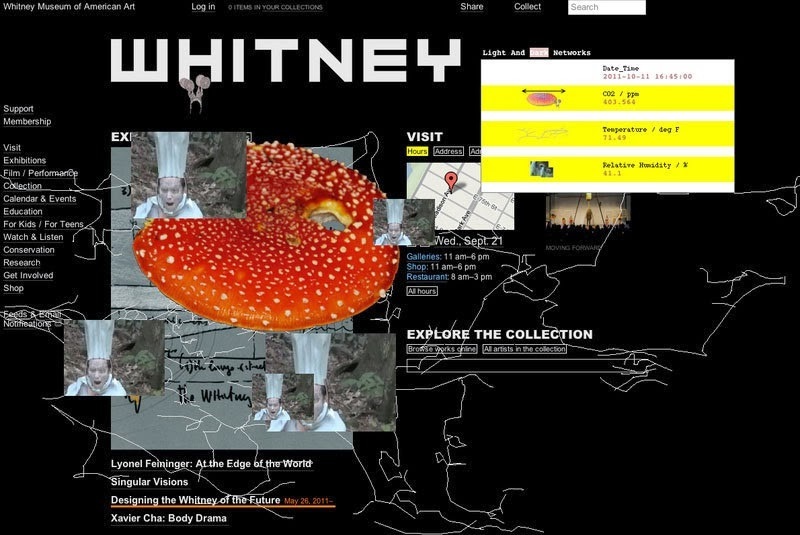 There are also public strategies based in collections and archives like Rhizome, a specialized digital art database. art with online access to all European media art archives. which developed a net.art commission and has a new media art storage, the Database of Virtual Art (DVA)11; the Critical Glitch Artware12, a database for net.art; and runme.org13, a software art repository launched in January 2003. It is an open, moderated database where people are welcome to submit projects considered to be interesting examples of software art. Others software or informational databases and archives are Peer-to peer (P2P) platforms for downloading and uploading information. Nettime14 on its face, just a mailing list but is functionally an effort to formulate an international, networked discourse that neither promotes a dominant euphoria (to sell products) nor continues the cynical pessimism, spread by journalists and intellectuals in the “old” media who generalize about “new” media with no clear understanding of the communication aspects of the new internet media. “We have produced, and will continue to produce books, readers, and websites in various languages so an ‘immanent’ net critique will circulate both on and offline” from the net.art online archive of tactical media with manifestos by Fran Ilich, cont3xt, or John Lydon in The ABC of Tactical Media by Geert Lovink15. More complete artworks that use the structure of a database are Ben Fry, On the Origin of Species: The Preservation of Favoured Traces16, a project made possible by the hard work of Dr. John van Wyhe, who runs The Complete Work of Charles Darwin Online.17 The text for each edition was sourced from their careful transcription of Darwin’s books and Dr. van Wyhe generously granted permission to use the text. This piece is a simpler version of a larger effort that looks at the changes between editions, and is intended as the first in a series looking at how the book evolved over time. It is a database built with Processing. exclusions along the lines of gender, sexuality, ethnicity, bodily ability, race, class and geopolitical location. as identity, culture and politics. They are epistemological tools, which encode accumulated knowledge. Historically linked to the emergence of imperial empires and colonialism, they allow naturalizing political systems, borders, regimes, and empires. The contemporary (artistic) practice of un-mapping, re-mapping, and counter-mapping attempts to decode these naturalized systems of knowledge, by assigning unacknowledged histories and marginalized perspectives (such as dislocation, subjective memories, exclusion and cross-cultural experiences) to a geographical terrain. In this sense, re-mapping also becomes a practice of cultural translation. 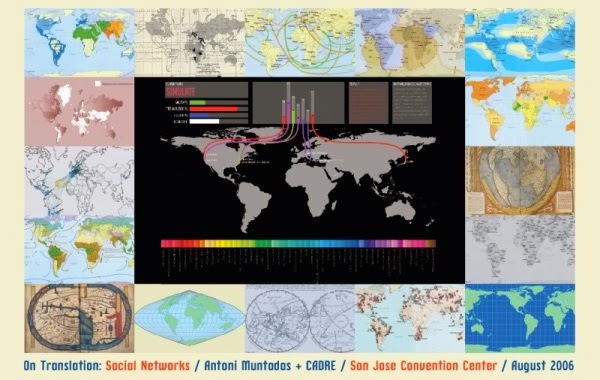 In order to better highlight this complexity, Gender Art Net organizes the map into a series of twelve thematic clusters, called galaxies, which contextualize resources while linking and relating artists, projects, networks, as well as artistic practice, and larger social and political issues to one another. These galaxies have been developed through a longer editorial process in which the participants’ personal experiences and subjectivity, their collective inspiration, coincidence, revolt, humor and irony took a strong place. The galaxies are represented on the website using comprehensive geographic information system tools. In order to avoid geographically mapping (new, exotic, other) territories for cultural consumption, it uses the astronomical model as a visual point of reference to map the galaxies as constantly shifting, alternative territories (see figure 5). pure data. Some common examples are Antidatamining21, Antoni Muntadas, Ethan Miller, or Warren Sacks. Mapping the city is a counter-map ideology based in Fredric Jameson theory. It contributes to criticize the surveillance displaying. Figure 6: Mapping the net. Orwell’s Big Brother control and securitizing system is now a kind of reality. Landscape implies an understanding of melancholic aesthetics where the ethos of subject turns into a participatory agent in history who reading the memory of landscape turns it into the poetics of the space, field of artists. Laura Plana Gracia: Actually Assistant Lecturer, Sound Interaction and Automation, at Rose Bruford College, London. BA History of Art UB University of Barcelona, 2006. MA Curating New Media Art MECAD 2007.Curating, Communication and Criticism, Central Saint Martins, University of Arts London 2009. MA Media Art Histories Vienna 2010. PhD Visual Global Cultures forthcoming. Has exhibited: Field Experimental Generative Animation London 2009; Arco Cinema Madrid 2010; Crisp London Los Angeles 2010. Sound.Art Event, London 2012. Has been at ISEA; Conference Dortmund Germany 2010. Is curator invited by MOTA Museum of Transitory Art New Media Art, Belgrade, Serbia 2011. Has been awarded by MACBA as Researcher in Residence at Centre d’Estudis Barcelona.